Strawberry Shortcakes are the best dessert, nostalgic for most of us, eating them as a child is a familiar memory. These are a modern delicious version you must make! It’s strawberry season! I have shared this recipe many times because it is a classic with a modern twist. Adding orange and lemon zest to the shortcake makes for that much better of a flavor with the in season strawberries. There’s nothing like a childhood favorite like the strawberry shortcake. It’s an easy dough to put together like you see in the pictures below. It’s sort of a rough flour mixture that comes together with a little bit of care and voilà you have the best spring dessert! I will be sharing this on Portland’s AM Northwest on Wednesday, June 6th from 9 to 10 AM. You can also sign up for my cooking classes at the Cookshop in Portland. Plus I will be adding this desert to my spring summer menu for in home cooking classes. Check here for times and email me for more info on personal cooking classes! Place the strawberries, lemon juice, and sugar in a bowl. Mash some of the strawberries while mixing together. Place in the fridge for a minimum of 20 minutes. You can make this ahead and leave overnight. 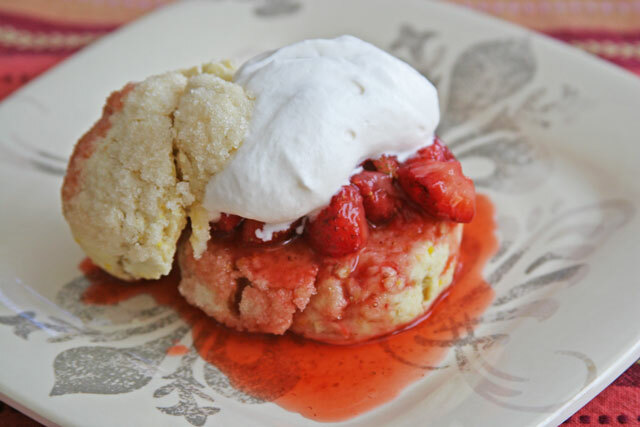 While the strawberries are macerating, make the shortcakes. 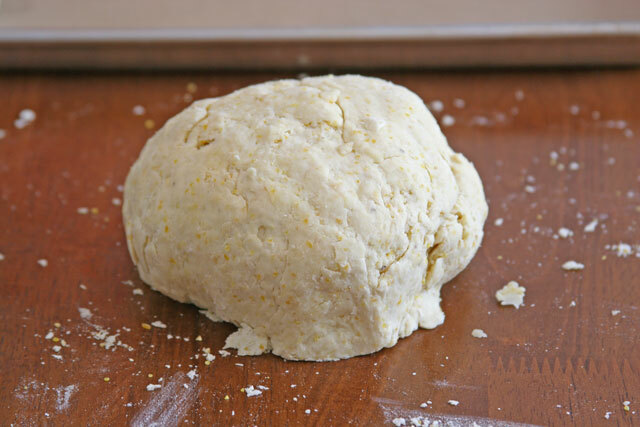 Place the flour, cornmeal, sugar, baking powder, and salt in a bowl, whisk to combine. Add the cream, lemon zest, and orange zest. 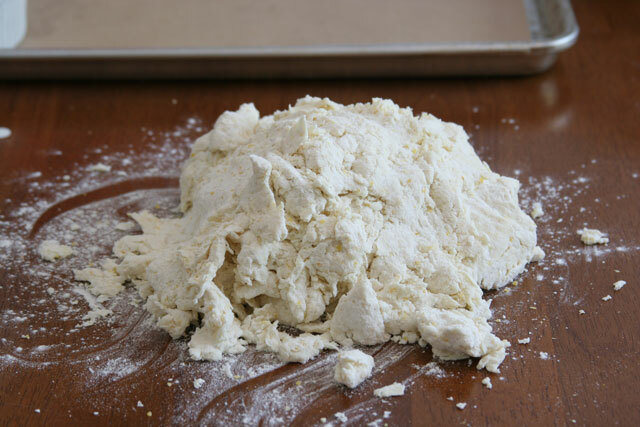 Place the dough onto a lightly floured surface, work the dough a few times to combine all of the cream and flour. Do not over mix. Cut into 8 even pieces using a bench scraper or knife. Roll into balls, dip one side of the ball into the melted butter, then into the sugar. Place sugar side up on a sheet pan lined with parchment paper. Bake for 20-25 minutes Or until lightly golden brown. Prepare the cream while the shortcakes are baking. Cool Shortcakes on wire rack. Place the cold cream in the cold bowl of a stand mixer with whisk attachment (or use hand and whisk) and whisk on medium until soft peaks are formed. Add the sugar and vanilla, whisk on low until firm. Place in the fridge, it will hold for an hour or so. If longer, you may need to whisk it by hand right before serving. Take the shortcake and cut in half. Place the bottom on a plate, add a scoop of macerated strawberries and juice first, then add a scoop of cream. Place the top of the shortcake tilted on it’s side up against the cream and berries. I preferred the shortcake warm when serving. Store the berries and shortcakes separately in airtight containers for up to three days, if you have leftovers, but make the cream fresh. It can pick up undesirable flavors form other foods in the fridge and will not hold its peeks. Strawberry shortcake is something worthy of a re-post! Thank you, I totally agree :). Congratulations Fabi!! And thank you for sharing!